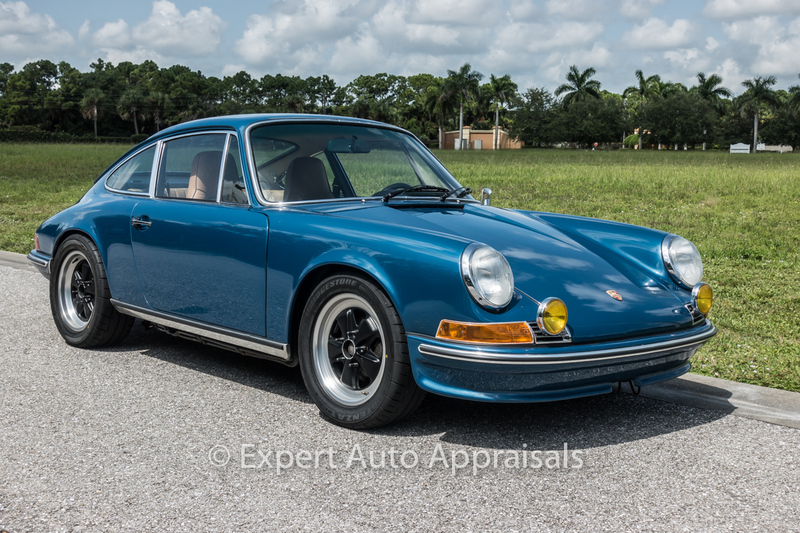 Offered for sale is this incredible 1971 Porsche 911T Outlaw. 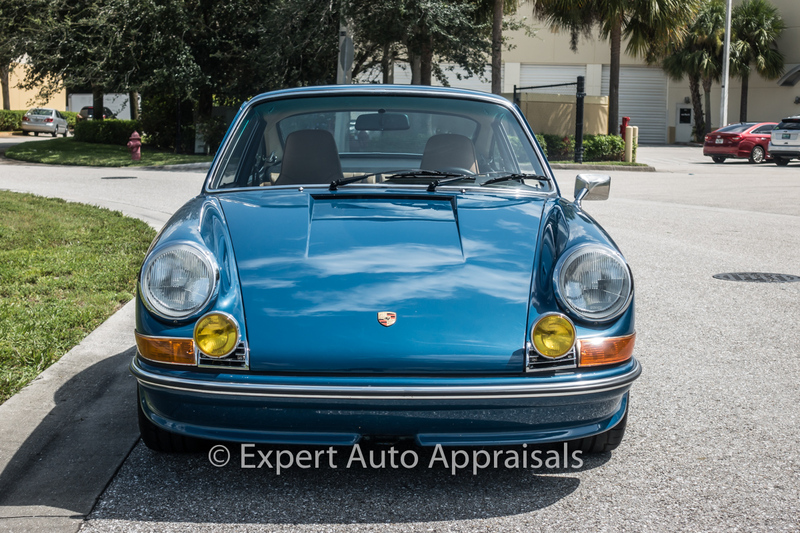 This is a great driver example of a 911T Outlaw finished in a fantastic color combination. Please contact us for more information. You can enjoy this car right now and decide which direction you want to go with it in the future. All the work done to this car was about making it a fun and reliable weekend car. It is not an easy task to write up a description of a car that so much emotion, thought, and time have gone into. 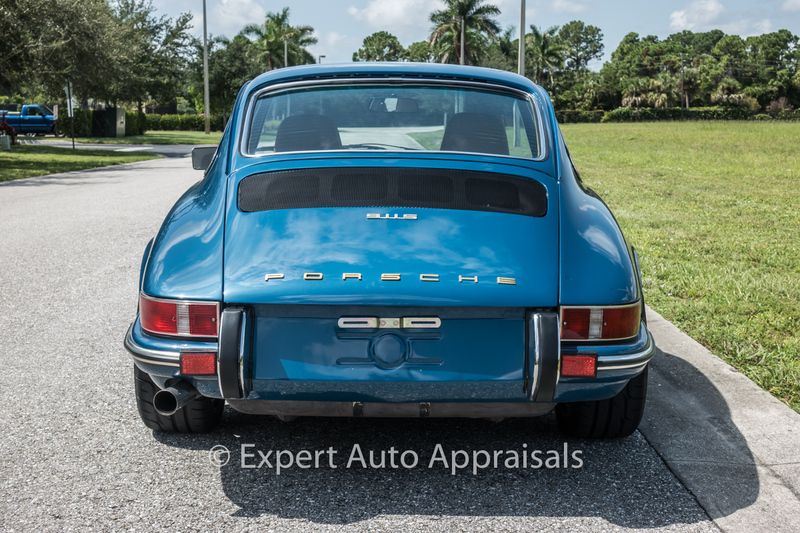 On one hand there are the facts, the specifications, what is new, what was restored, what was left alone – beyond all that the only real reason somebody buys a 40 year old Porsche is a personal decision. Is this car right for you? The only way you could really know the answer to that question would be to park it in your garage and take it out for a drive. So for now we will just get on with some specifics of the build. 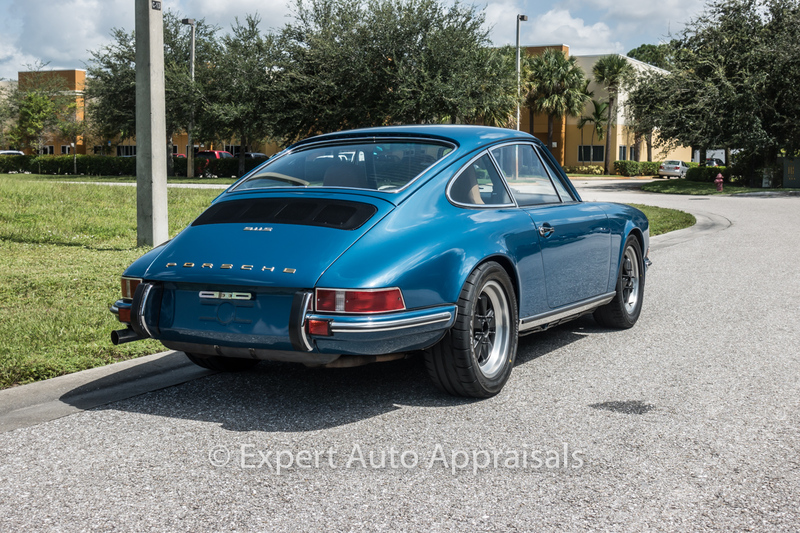 This Porsche was originally a Sepia Brown Arizona car that shows very limited signs of rust and no previous accident damage. The rear torsion bar areas are in excellent condition and original undercoating is present on the undercarriage. The car was stripped to bare metal and painted in a PPG light blue metallic about 2 years ago and the paint job is holding up great. 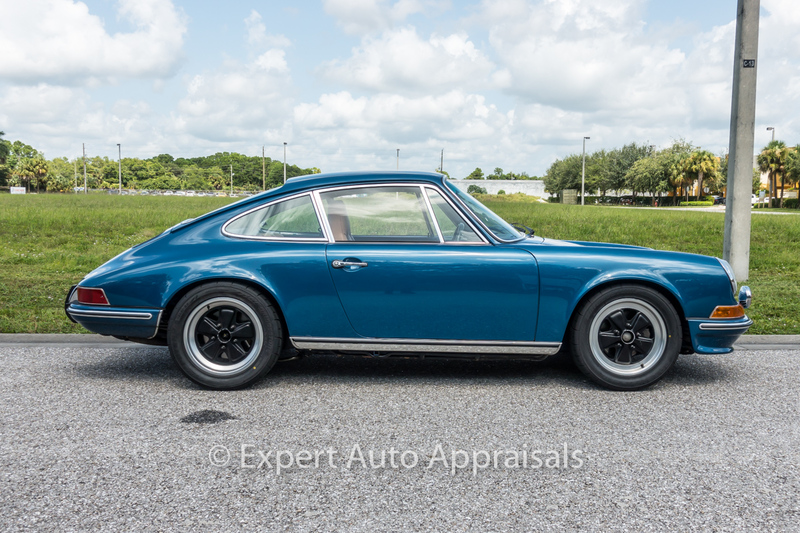 One nice feature about this car is that it has power windows, the doors have been upgraded from a later model 911. A fiberglass 911 S style front bumper was installed up front. When the car was painted it was a glass out, interior out, complete disassembly of the car. All the exterior trim parts were either replaced or reconditioned. All rubber seals and gaskets were replaced, including the seals in the door frames and quarter windows. The door frames and quarter window bright work has been anodized. The front windscreen was also replaced. 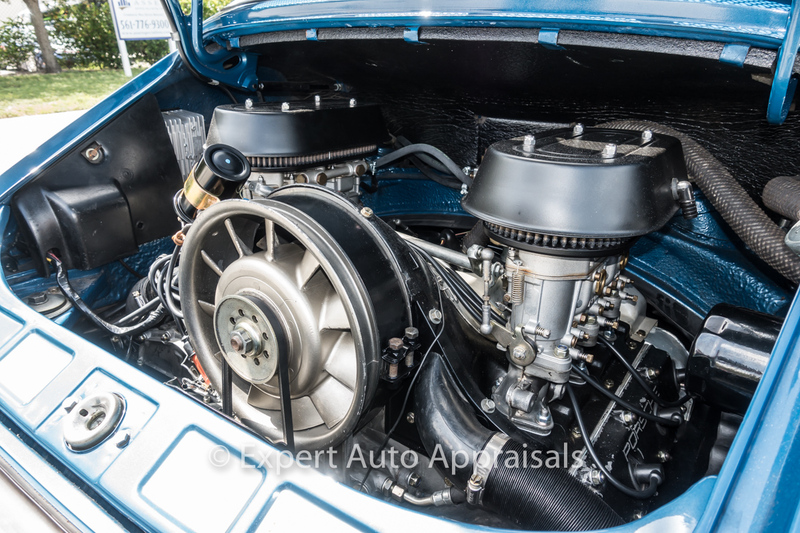 The engine is not original to the car but it is an identical specification 1970 911 2.2 T engine that runs well. There is a set of PMO carburetors in excellent condition that have just been gone thru and a complete new ignition system from Kurt at PartsKlassik. The ignition system is such an important part of the car to maximize performance, but more importantly, if it is not working the car does not start. 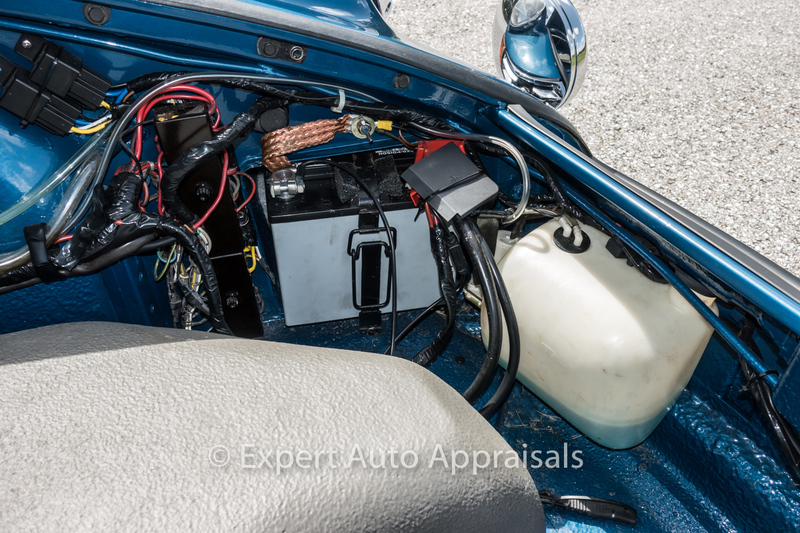 There is nothing reliable about a forty year ignition system so everything is new, including the wiring harness. We did not put a lot of money into the engine to increase the horsepower because I believe the next owner will buy this car and install a bigger displacement engine – but we did what was needed to make it a good reliable driver. The cylinder heads were removed to inspect the pistons and cylinders and reseal the engine – the bottom end of the engine was not opened up. The cylinder heads were freshened up with new guides, new springs, and re-cutting the valves and valve seats. All the engine sheet metal was stripped and powder coated black. The exhaust is original with heat exchangers that are in solid condition and the single outlet exhaust is also in excellent condition. While we had the engine apart we cleaned and checked everything that we could and replaced many items like fuel lines, the oil return line, and installed the finned Turbo lower valve covers. 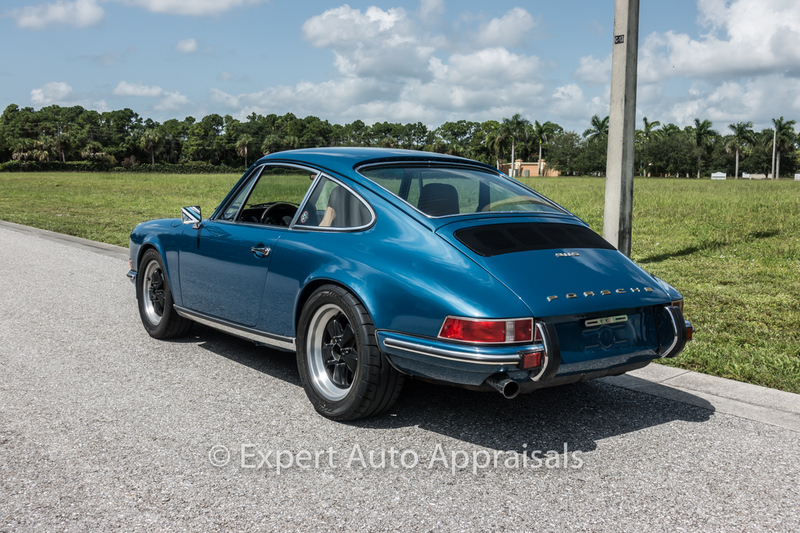 The car has a front oil cooler from a 1988 911 Carrera mounted in the right front fender with Carrera hard lines and oil thermostat – the front oil cooler will keep this engine running cool. Since the engine was removed it made sense to open up the gearbox to clean, inspect, and reseal. The gearbox is a 915 gearbox from a 1972 911. The main benefit of the 915 gearbox is the newer shift pattern with 5th and reverse being over to the right in the spring loaded position. While the gearbox was apart we replaced the synchro’s, the first/second operating sleeve, the differential bearings and the pinion shaft four point bearing. When the gearbox was assembled the pinion depth and ring gear backlash were set to factory specifications using Porsche factory tools and 30 years of Porsche transmission building experience. Quite a few improvements have been made to the suspension. The rear trailing arms have been replaced with the later model aluminum trailing arms with Carrera adjustable spring plates. The front cross member is an aluminum part from a later model 911, not the original steel front cross member. Adjustable Weltmeister front and rear adjustable anti-roll bars. The front struts have been replaced with Bilstein struts that fit the larger from Brake cast iron A calipers from a 911 Carrera. The rear torsion bars are hollow 30mm diameter and the front torsion bars are 25mm in diameter. The suspension bushings have been replaced and the front A-Arms have the solid bushings from Elephant racing. The rear shocks and the front strut inserts have been replaced with new Bilstein units. New wheels bearing were installed front and rear. The interior was completely reconditioned. The dash was replaced with a new part from Porsche. Headliner was replaced. The carpets were made locally and they are a tan German square weave pattern. The rest of the interior was also recovered or manufactured locally and it is tan leather. The seats are from a 911 SC with adapters that allow them to slide back and forth. 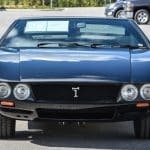 The seat belts have been upgraded to the 1972 and later style with retractors in the rear quarter panel area.